being in a position to fulfil the basic education related needs of every student.Headquartered in Noida, Uttar Pradesh, the NIOS operates through a network of 15 regional centres, two sub-regional centres and over 3,700 study centres across India, Nepal and the Middle East. NIOS employs 251 fulltime staff. The importance of the institution lies in the fact that it serves the educational needs of school drop-outs and marginalised groups, including Scheduled Castes and Tribes (SCs and STs), rural youth, urban poor, girls, ex-servicemen and people with disabilities. 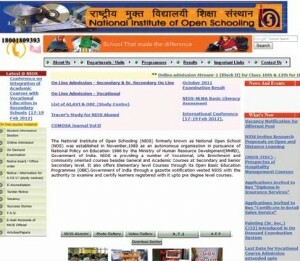 Under the Open Learning System, NIOS is the only national level Board. The secondary and senior secondary programmes offered here are equivalent to the grade I 0 and 12 programmes of the Central Board of Secondary Education (CBSE) and have the same status for admission to higher studies and employment. 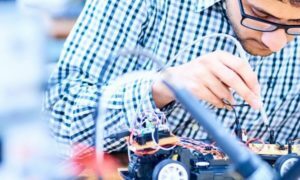 In fact, many students from NIOS go on to study at conventional schools and colleges including the prestigious Indian Institutes of Technology (IITs). In one specific instance a student, after having passed out of NIOS, completed a degree course in aeronautical engineering and is now pursuing higher studies in a prestigious university abroad. In 2010-2011, the NIOS had 4,70,834 enrolees and a cumulative student enrolment of 2.2 million in the 27 secondary subjects, 21 senior secondary subjects and over 80 certificate and diploma vocational programmes which implies an annual growth of about 14 percent to its total enrolment. Of the total learners enrolled, about 30 percent in the academic stream (Secondary & Sr. Secondary) and 55 percent in vocational education are girls, which is a substantial one. The majority of students are aged between 15-25 years. reach out to its learners, the NIOS uses study centres that provide administrative and academic support. 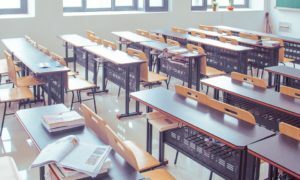 Those supporting the secondary and senior secondary students are called Accredited Institutions (AIs) and those supporting the vocational students are known as Accredited Vocational Institutions (AVIs). NIOS develops its own course materials, which are more appropriate for selfstudy. Printed Self Instructional study materials are supported by Audio-Video programmes. A half-yearly magazine ‘Open Learning’ is also provided to the learners. Approximately 3.93 lakh copies of combined study materials were despatched to the learners during the year 2010-11. At NIOS we have a Learner Support Centre (LSC) to address the problems of online learners that relate to admissions, courseware, examinations, results etc. Functioning on the pattern of a Call Centre, the Learner Support Executives respond to the queries of learners. The Adolescence Education Programme (AEP) of the NIOS in collaboration with MHRD and UNFPA has adopted a new approach with a focus on integrating subject knowledge with life skills. The NIOS is also in the process of developing a diploma course in Elementary Education for in-service training of elementary teachers. of the learners who can avail as many as nine chances to appear in the examinations. 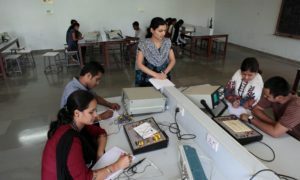 To introduce greater flexibility in the system, the NIOS has also introduced the On Demand Examination System (ODES) at the Secondary and Senior Secondary levels. These exams are conducted at the NIOS headquarters in Noida as well as its regional centres. The results are made available within 45 days on the NIOS website: www.nios.ac.in.